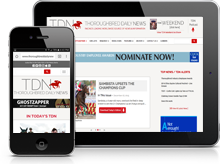 The following is a listing of race criteria used by TDN in the daily coverage of races both in the daily TDN editions and on the Progeny PPs website. Winners and Black Type*-Placed Runners of North American Graded Stakes and Black Type* Races with a Purse Value of 50K and Over. Winners of North American Allowance Races with a Purse Value of 20K and Over. Winners of North American Optional Claiming Allowance Races with a Purse Value of 20K and Over and a Claiming Tag of 25K and Over unless the Winner is in for a Claiming Tag. Winners of North American Maiden Special Weight Races with a Purse Value of 18K and Over. Winners of North American Maiden Claiming Races with a Purse Value of 18K and Over and a Claiming Tag of 40K and Over. Winners and Stakes-Placed Runners of European Group and Graded Stakes. Winners and Stakes-Placed Runners of European Listed Stakes. Winners of Significant European Allowance and Maiden Races. 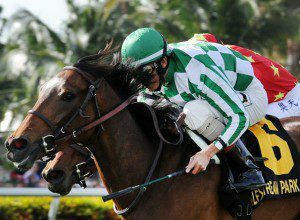 American-Bred or Sired and European-Bred or Sired Winners of Significant International Races.